The last time TCU played in the NCAA Tournament Bill Clinton was the President of the United States, “Titanic” won an Oscar for Best Picture, Michael Jordan won the last of his six NBA championships with the Chicago Bulls and Horned Frog guard Alex Robinson was two years old. 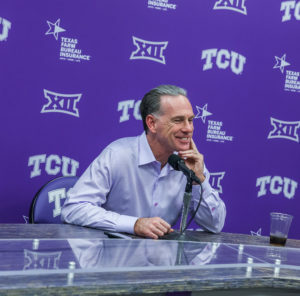 The 20 year wait ended when TCU heard its name called on Selection Sunday for the first time since 1998. They are a No. 6 seed and will take on a No. 11 seed in Detroit Friday as part of the Midwest Regional. Their opponent will be the winner of the Syracuse vs. Arizona State First Four game which is hosted in Dayton, Ohio Wednesday night. 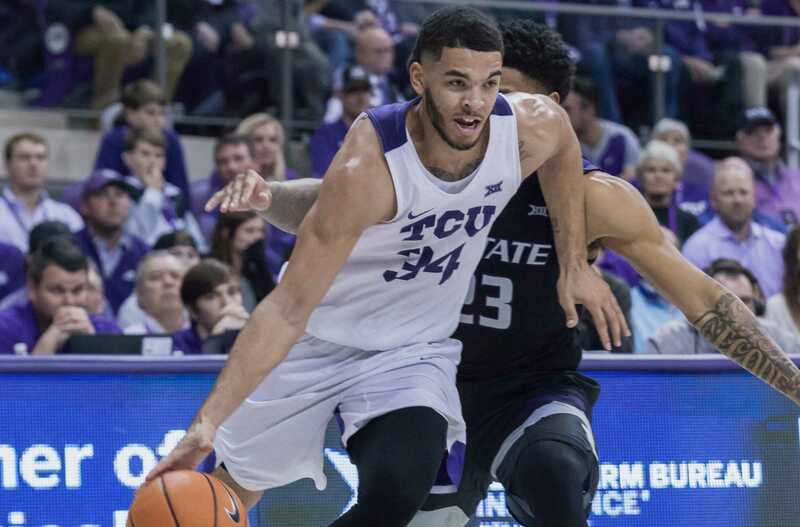 While playing either team likely prove to be a challenge, the late game in Ohio could be an advantage for the Horned Frogs as their matchup comes just 48 hours later. However, TCU senior guard Kenrich Williams said he thought otherwise. 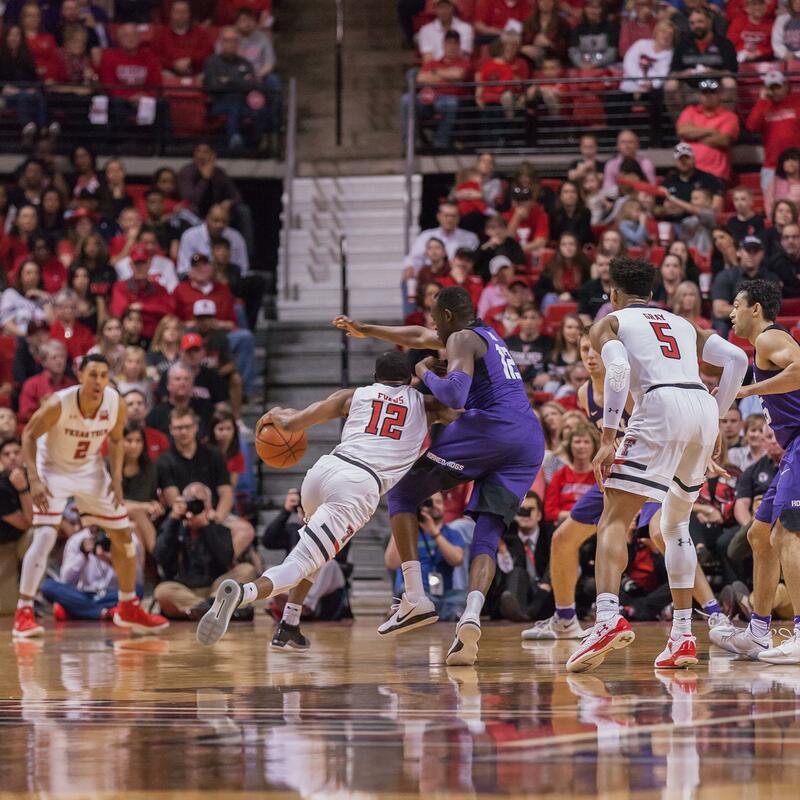 As for which team TCU would rather face, Syracuse’s defensive style could be a favorable matchup for Horned Frogs as they like to play uptempo and shoot a high volume of three-pointers. TCU guard Desmond Bane, who leads the Big 12 in three-point shooting percentage at 47 percent, said he would be especially excited for that matchup. TCU’s berth snaps the second-longest NCAA Tournament drought for teams in Power Five conferences, behind only Rutgers’ 27-year gap. TCU’s 21 regular season wins are its most since the 1997-98 season. This season also marks the first time the program has won 20 games in consecutive seasons since the 1998-99 campaign. The excitement this season was palpable in Fort Worth as TCU set a school record for highest average attendance, averaging 6,561 people per game during its 18 home games this season. The old record, 6,341, was set during Dixon’s senior season at Daniel-Meyer Coliseum in 1987. That 1986-87 season is also the last time the Horned Frogs won an NCAA Tournament game when No. 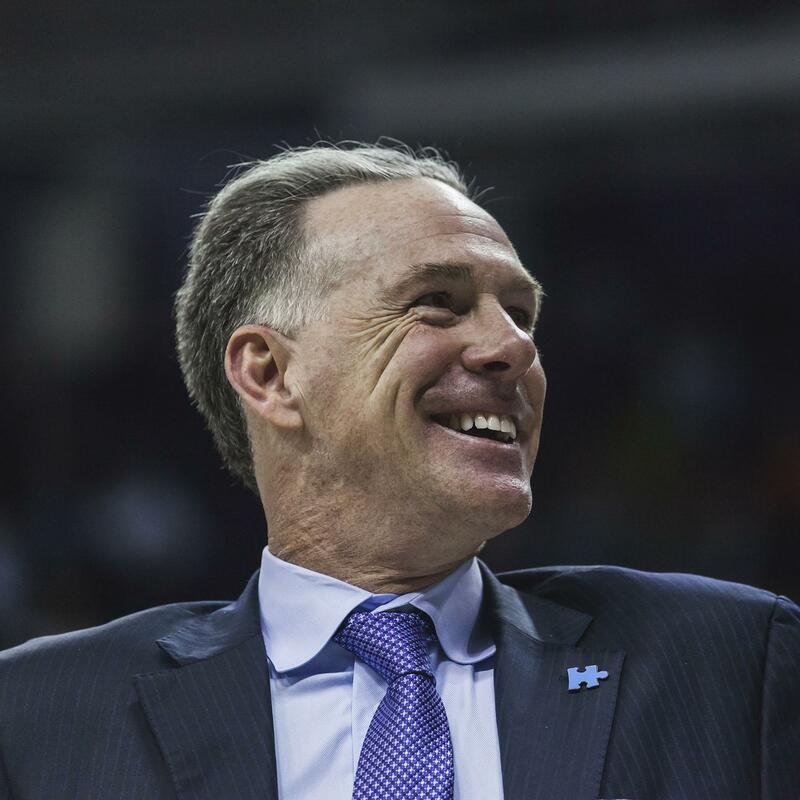 4 seed TCU beat No. 13 seed Marshall 76-60 in Charlotte, North Carolina. While the current team lacks March Madness experience, TCU is 8-2 in neutral-site games in its two seasons under Dixon. Five of those victories came from the Horned Frogs’ NIT championship run last year. TCU will tipoff its first NCAA Tournament game Friday in Detroit, Mich. at Little Caesars Arena against the winner of No. 11 seeds Arizona State and Syracuse at approximately 8:40 p.m. following the conclusion of the 6:20 p.m. game between No. 3 Michigan State and No. 14 Bucknell.